40m mini portable End Fed Half Wave Tuner. 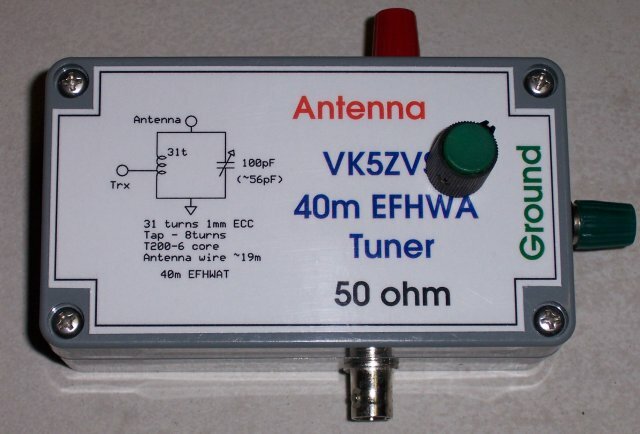 A small portable 40m EFHW tuner. 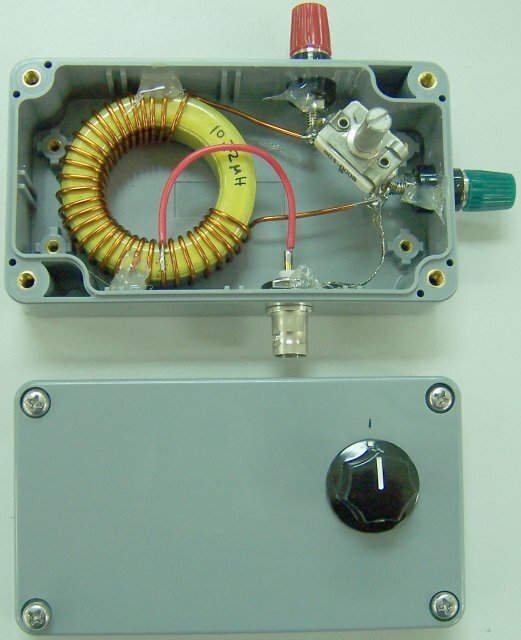 This is a mini version of an end-fed, half-wave tuner for the 40m amateur radio band. It utilises a toroid and a variable capacitor in its design. The schematic of what I've used. The capacitor is variable as minor tuning may be required. 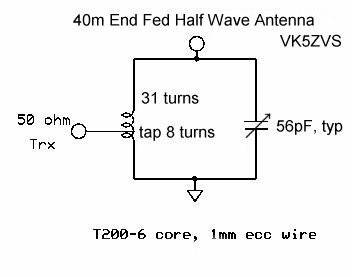 Better vswr can also be achieved by altering the length of the antenna. Here's a photo of the current version with a label to finish the project off.